Enjoy the best inspirational, motivational, positive, funny and famous quotes by Albert E. Bowen. Use words and picture quotations to push forward and inspire you keep going in life! 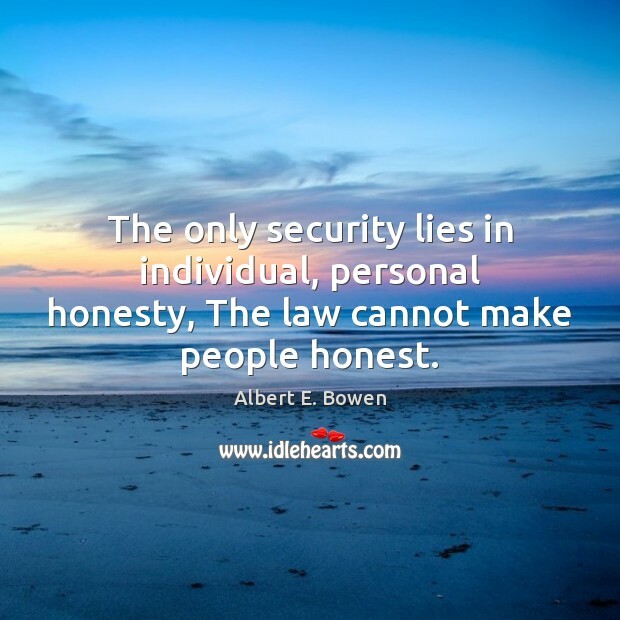 The only security lies in individual, personal honesty, The law cannot make people honest. 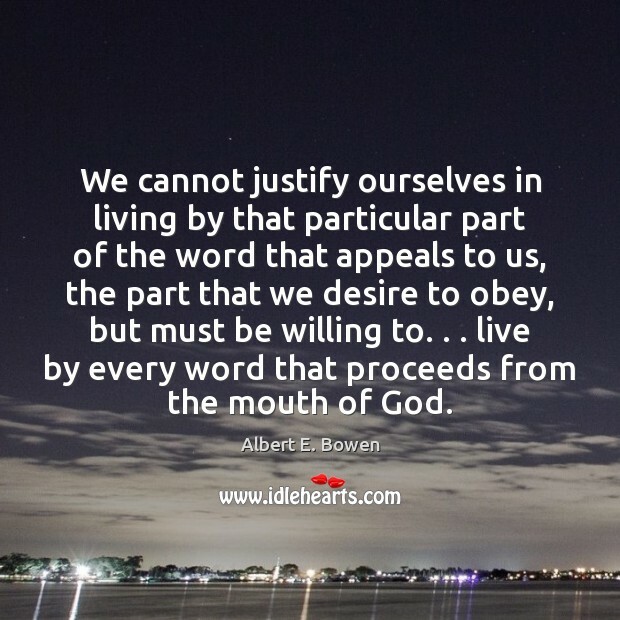 We cannot justify ourselves in living by that particular part of the word that appeals to us, the part that we desire to obey, but must be willing to. . . live by every word that proceeds from the mouth of God.